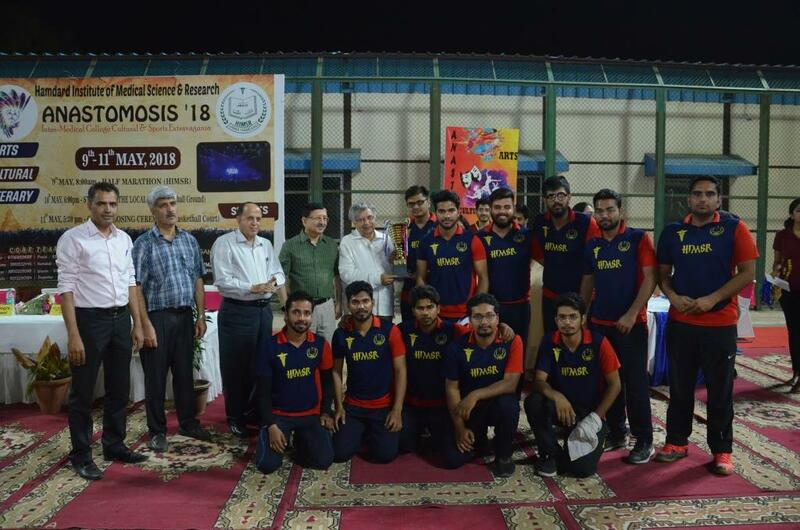 On behalf of the organizing team, it is my pleasant duty to present a brief yet detailed report of the proceedings in Anastomosis 2018, a 3rd inter-medical college cultural and sports extravaganza organized by Hamdard Institute of Medical Sciences and Research, Jamia Hamdard. Academics and extra-curricular activities essentially complement each other. As we progress forward, apart from the knowledge we obtain, other qualities play an equally vital role in the implementation of our knowledge. The qualities of leadership, team spirit and patience aren’t to be learned, but to be developed from experience and practice. Anastomosis meaning interconnection between channels, aptly represent the spirit behind this whole event, providing a platform for the interaction between the students and teachers of different medical colleges and also to showcase their talent in various sports and cultural activities. With last year’s anastomosis being a huge success in which almost 17 medical colleges from different parts of the country were participated, we wanted to make this years fest even more special and creative. (for obvious reasons that our college is now a recognized Medical College) With participants pouring in from all over India, we saw the mixing of various Indian cultures in our campus, truly a great learning experience. Anastomosis 18, a three day event had an excellent and energetic start with the Marathon which started at 8:30 in the morning of the 9th. The number of people, faculty and students alike, participated in a 1.5 km run which started at the HIMSR building and culminated at the cricket ground where the event was officially inaugurated by our Provice Chancellor, Prof Ahmad Kamal sahab. Registrar, Mr. Saud Akhtar, Dean, HIMSR Prof. M.Y. 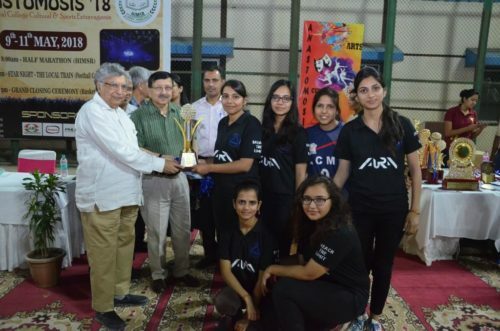 Kharadi, Medical superintendent Dr. Ajaz Mustafa, HODs of different department, senior faculty members were also present to encourage our students. 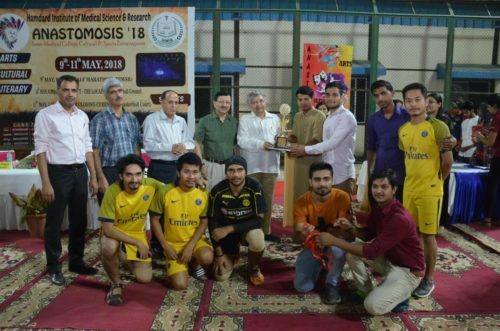 Sports being one of the most famous and widely acknowledged event in our fest had outdoor events – cricket, football, basket ball, and volley ball and also hosted indoor events –like badminton, table tennis, chess, carrom and pool. We had a lot of participation and it was an honour to welcome so many sports enthusiasts and present to them the opportunity to showcase their talents and efforts in our fest. One of the gems of our fest was the Star appearance of the brilliant and enticing Local Train band, one of the original bands, famous for their own creations. They created an atmosphere which has the crowed pumped up their hearts with the beats of the music. A Total of eighteen colleges from across the country participated in various events. 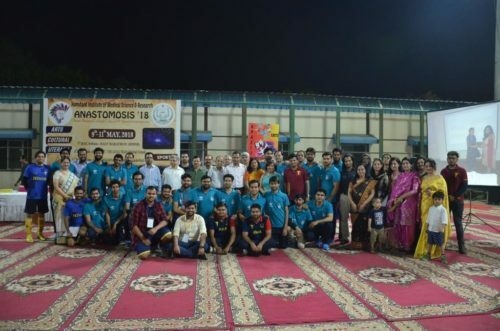 Anastomosis, a three-day event, had all of us working hard and I am delighted and proud to say our organizing team and the volunteers under them did an excellent job and left no stone unturned to make it a huge success. It was really heartening to see the great enthusiasm and energy amongst the medical students. This was basically an event of the students, for the students and organized by the students I really want to congratulate all the students, including volunteers, participants and Incharges for their enthusiastic participation, their organizational skills and the discipline throughout this mega event. In the end, though it is not the vote of thanks but I take this opportunity to thank all my students, faculty members and the administration especially our Hon’ble VC Sir, our Registrar and our Dean for their constant support and encouragement during the whole event.